Guatemala’s history and politics have been marked by profound social, economic and ethnic exclusion. As a result, income inequality, the concentration of land ownership and human rights abuses persist today. Addressing these challenges requires greater political equality and representation. But while Guatemala’s indigenous peoples represent approximately 60 percent of the population only 20 of the 158 seats in Congress are occupied by indigenous representatives — or just over 12 percent. And according to the latest Human Development Index report, 90 percent of the indigenous population can’t meet basic needs to survive. The struggles have helped to generate some of the most renowned indigenous leaders in the world, such as Rigoberta Menchú and Alvaro Pop. And somewhere amidst Guatemala’s diffused but vibrant civil society, the next Menchú or Pop is ready to emerge and lead a new generation of indigenous leaders that — we can only hope — will help to tackle the country’s social, economic, and political challenges. The indigenous movement’s most notable leaders emerged from their historic struggle to support the 1996 Peace Accords that ended the country’s three-decade-long civil war. From that era came Menchú who helped to develop and push for those agreements — a role that earned her the 1992 Nobel Peace Prize. After the initial triumph, though, the Guatemalan grassroots movement has splintered with groups representing indigenous, peasants, women, youth, and religious versus sectarian interests, among others. The net effect has been to diffuse and dilute the voice and collective power of the Guatemalan grassroots. Thanks to the work of high-profile heroes like Menchú and to the goodwill of the international community in supporting the implementation of the Peace Accords, international donors rushed to support what they hoped what be the transformation of Guatemala into a prosperous democratic country. But the Guatemalan government, private sector and civil society organizations were not always prepared to manage those resources and failed to coordinate their wide range of agendas. And in some cases, the recipients followed the interests of the donors rather than their own interests or analyses. Among some of the older leaders, an atmosphere of distrust often prevailed not only between the groups themselves but also with donors and government. In recent years, though, successful efforts to combat corruption and impunity, have demonstrated the growing power of grassroots organizations and proactive citizenship and its ability to affect politics and the public debate. This newfound success and power of these grassroots organizations stem from a new generation of civil society leaders that have grown up through and around this relatively new dynamic and culture of Guatemalan civil society. As the Inter-American Foundation (IAF) Representative for Guatemala, during the last eight years and with more than 50 trips to the country, I have had the chance to meet talented young indigenous Guatemalans who are creating a new social construct and evolving and growing with their movements. The IAF’s strategy in Guatemala focuses on nurturing organic, inclusive, and long-term processes carried out by its local grantee partners to achieve lasting social, economic and political inclusion. The leaders of these grassroots groups are often young — born between the late 1970s and early 1990s — and they are just as likely to mobilize communities using WhatsApp and Facebook as they are via traditional approaches, such as seminars or demonstrations. They can network better than ever before both within and outside the country, and this has broadened both the perspective and critical thinking they bring to forming agendas. Tzi, who is in law school, can easily rally a crowd in both Spanish and Q’eqchi’. He has spent countless hours talking with his elders about being open to dialogue and to new ideas, while underscoring the importance of defending indigenous territories. But that dialogue has not been easy, he noted, due to the distrust rooted between indigenous groups, the government and the private sector stemming from Guatemala’s dark history. This openness to dialogue and willingness to leave the past behind has produced change. SANK has partnered with the Asociación de Abogados y Notarios Mayas de Guatemala, another IAF partner, to develop a legal path that allows indigenous communities to manage their lands according to ancestral traditions while complying with Guatemalan and international laws. The practice shields territories from land grabbers and encroachers and prevents individual sales. What’s more, currently, the local municipality is supporting some of SANK’s initiatives that safeguard indigenous territories and stimulate the local economy. Specifically, the municipality is financing contests that encourage and praise crop diversification and has allowed the use of strategically located land for a farmers market. This provides a platform to more than 600 local farmers with diversified parcels—some with as many as 50 different varieties of crops — where they network and barter and sell their products directly to consumers. Younger leaders are more inclined to try innovative approaches to problem-solving, to question older movement leaders and international donors, and to collaborate with different groups —indigenous with non-indigenous, professionals with non-professionals, and men with women —by putting aside past differences and suspicions. 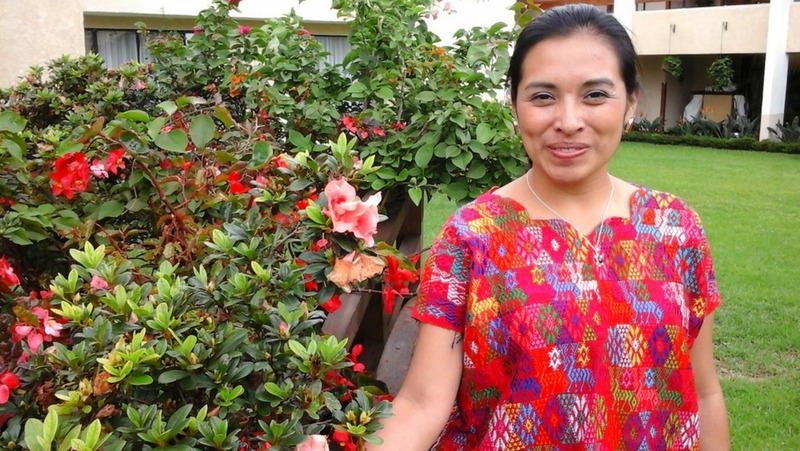 Alicia Lopez is an Awakateka in her early 30s and is the executive director of Asociación Política de Mujeres Mayas Moloj (MOLOJ), an IAF partner working toward the inclusion of indigenous women in the country’s democracy. She reiterated this point to me in a number of ways. She explained why the agenda of Guatemalan women should not be divided by ethnicity; the practice she believes, slows progress. Guatemalan women must work not only together, but also with key male and international allies who understand their priorities and needs. Under Lopez’s leadership, various civil society organizations have come together to support initiatives such as bill to achieve electoral parity for women and indigenous, which was discussed in the Guatemalan Congress, and even to publicly support the work of the country’s attorney general. While the bill to reform the electoral law was rejected, the discussion itself was important. Despite these successes, Guatemala’s grassroots movement(s) still face a number of other challenges. One of them is that some older leaders have not realized the importance of leadership succession. Many talk positively about it, but when it comes time to offer opportunities and decision-making power to young people, they are often reluctant to yield to a new generation. Other obstacles are the rivalry and jealousy that exist between institutions. Some organizations, perhaps afraid of losing their role as the primary protagonist, are reluctant to share connections, resources, and expertise, which is something that IAF tries to specifically overcome among its grantee partners. Many times, I have seen situations where an organization devotes resources to develop something that already exists, or to connect with a funder or government with which similar organizations already have well-established relationships, simply because it wants to do something alone. Additionally, the fragile economic situation facing these organizations often makes them change their priorities to satisfy funders’ expectations. This hinders the potential of grassroots leaders and tends to make them passive implementers rather than active and creative leaders. Becoming familiar with and using technology can also cause generational frictions in civil society organizations, even while it holds the key to opening up a range of networking opportunities for them. While there is merit in developing personal relationships, there are huge multiplier effects from the use of technology. Young leaders have the capacity to organize through rallies and other traditional channels just as their older leaders do, but they can also organize through the use of texting applications and social media. As time goes on, young leaders are pushing their elder counterparts outside of their comfort zones, which, understandably, sometimes leads to disagreements. To achieve a smooth transition within Guatemala’s grassroots movements, that will allow them to more effectively contribute to democracy, the Guatemalan government and society, along with the international community, must allow leaders like Ernesto Tzi, Alicia Lopez, and many others to work to their full potential. These kinds of leaders have what it takes to adapt, innovate, negotiate, and learn while working to meet the needs and priorities of those they represent. Failing to support their efforts could be costly — in fact, it could undermine the accomplishments that grassroots groups have already achieved.